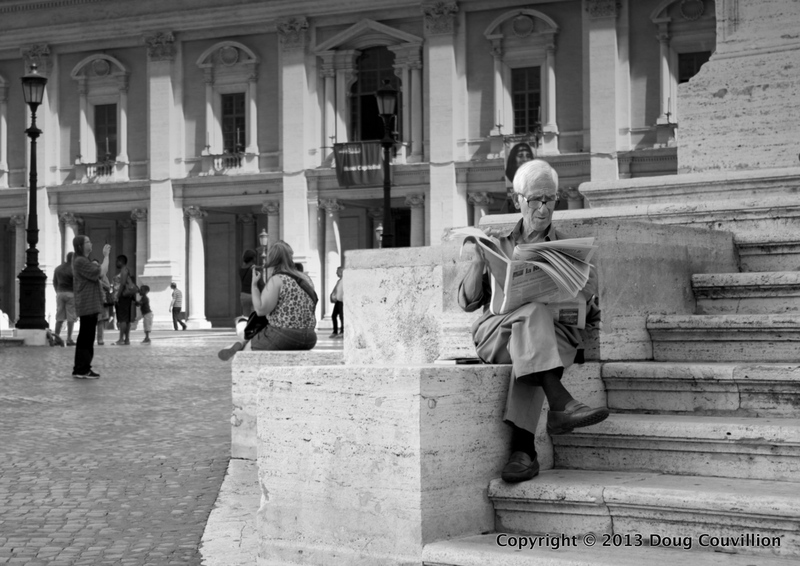 Passing through Piazza del Campidoglio we saw this man reading his newspaper. When I returned the next day, he was there again, on the same step, reading his paper. It struck me as very Roman. I’m betting if you were to go there on just about any morning he would be perched on these steps enjoying the weather and catching up on the latest news. By Roman standards this small shrine inside Santa Maria della Consolazione is pretty unimpressive but when we peeked inside the church the lighting on the statue gave it a truly holy feel. 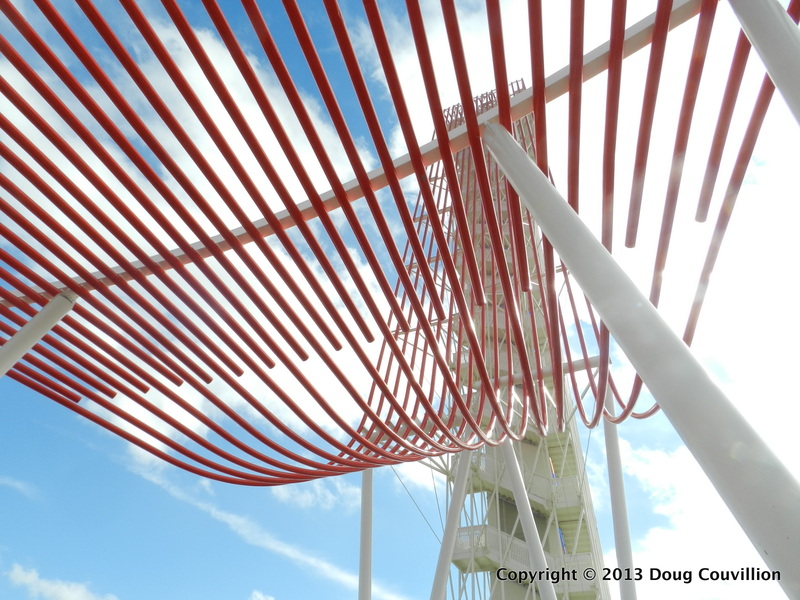 The tower at the Circuit Of The Americas track in Austin, Texas stands 251 feet above the race track. I didn’t go up the tower but it was pretty impressive to look at from the ground. This killdeer was patrolling the shoreline of Lake Yellowstone, spending most of its time on the semi-submerged rocks just beyond the shore. 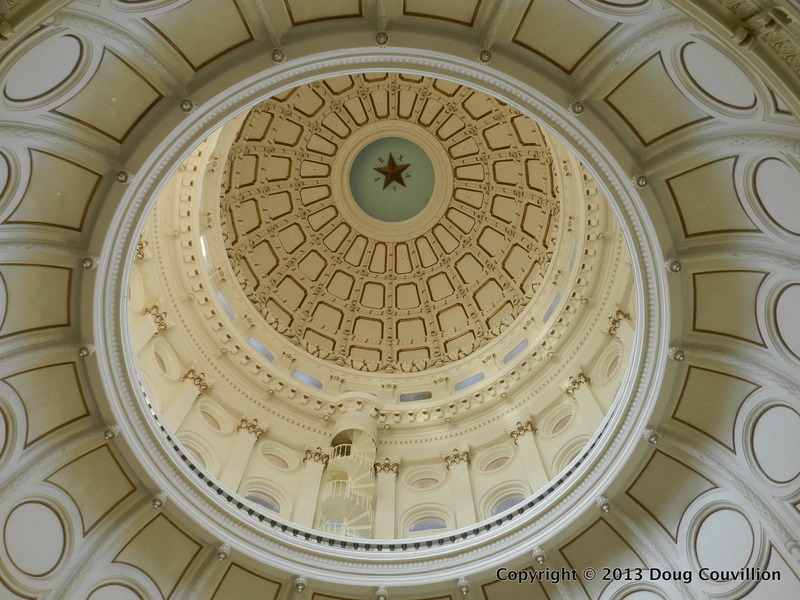 Inside of the dome of the Texas Capital. I was hoping to find a way to get to those spiral stairs but they did not appear to be accessible to the public. Click on the photograph to get a larger, more detailed view. 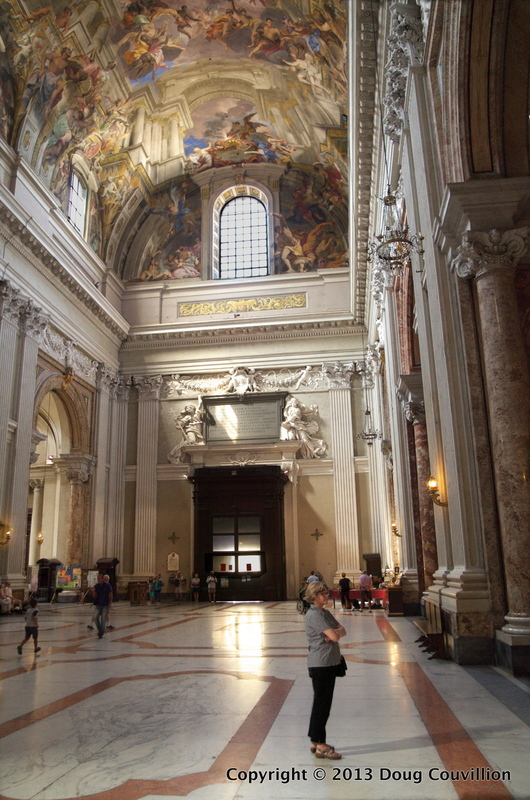 If you are ever in Rome I recommend visiting Saint Iganzio’s Church. From the outside it doesn’t look very exciting but once you walk through the door you will be amazed. I’m sure some art history buffs will argue but I thought the ceiling was better than the Sistine Chapel’s and there was no waiting in line and no admission. What you can’t see in the picture is all of the amazing sculpture that decorates both sides of the church. 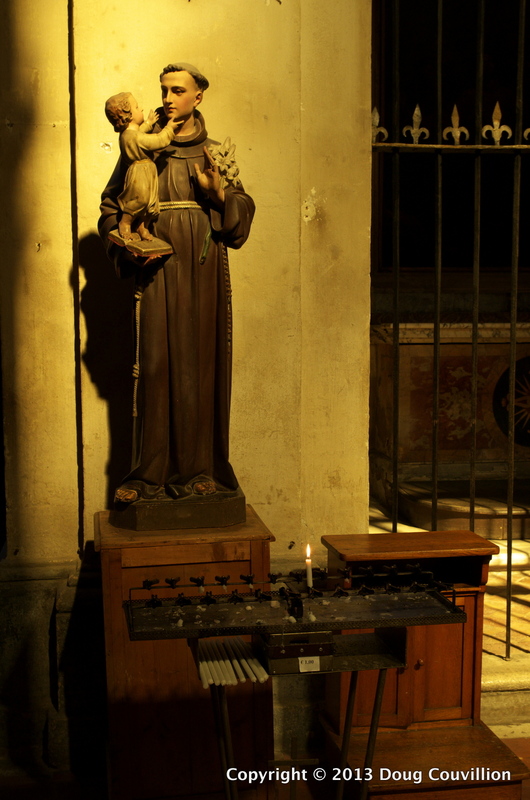 The lighting in these churches ranges from very dark to extremely bright. To create this image I had to blend 5 different exposures together. Click on the image to see a larger version of it. This juvenile Laughing Gull was investigating a tidal pool on the beach at Corolla, NC while I was there last summer. I had a little trouble identifying it until it finally occurred to me that it might not be an adult.